The forthcoming chapter of Star Plus’s leading show Star Plus Yeh Hai Mohabbatein will show that Raman Bhalla (Karan Patel) gets tensed seeing Ashok stays in Bhalla house with Shagun (Anita Hasanandani). Ishita plans to enter in Bhalla house so both families create a fake drama & makes Ishita entry in Raman’s house. Shagun recognizes Ishita as dentist & gets friendly with her and Ishita suggest Shagun to keep Ashok away from her taking his love test. Shagun agrees with Ishita & says to Ishita that Ashok must understand her which makes Ishita happy. Ishita confronts Ashok & challenges him that she will save Raman at any cost and he can do anything. 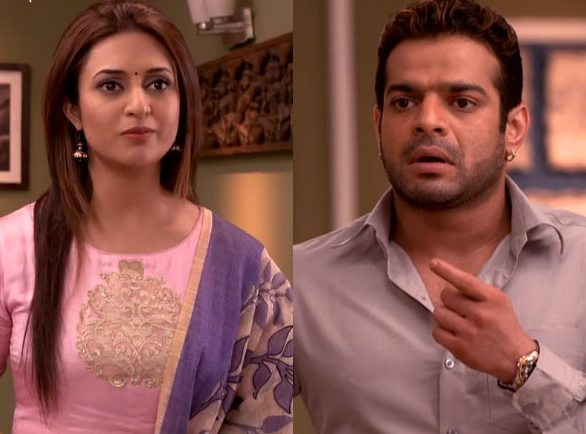 What will Ishita do now protecting Shagun and Raman from Ashok?